Durable aluminum construction! Holds a monitor, bar-code scanner, keyboard, wrist rest and mouse on the same arm, providing easy, single-motion height adjustment. 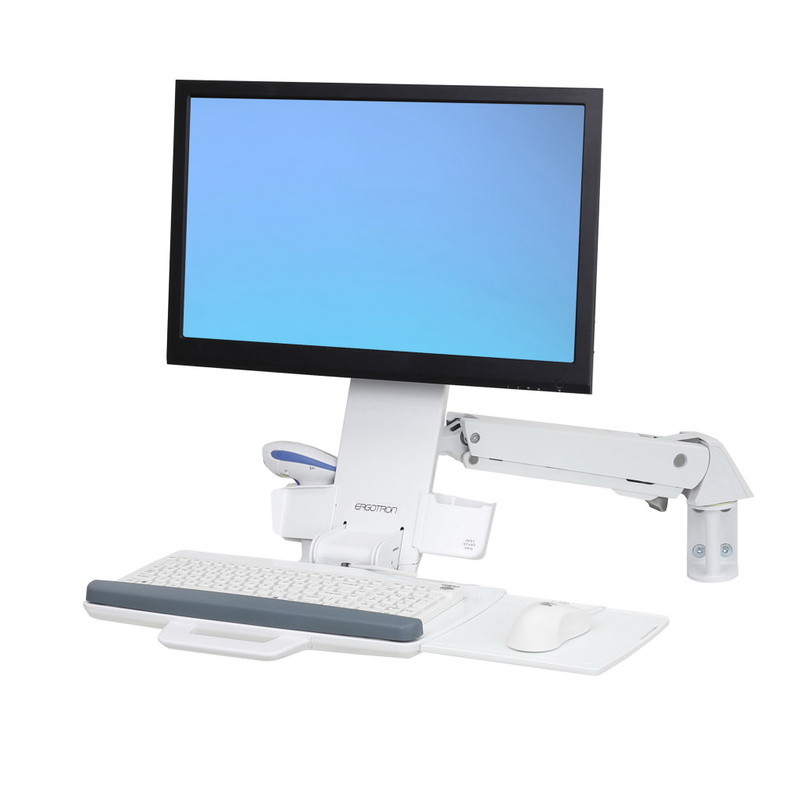 Work sitting or standing with the arm’s ergonomic 25" (64 cm) LCD height adjustment range. A unique cable management system conceals and organizes cords, making cleaning easy.